Wow, October went by quickly. We came back from our honeymoon on September 27th and I started my new job just two days later. Between that, plus two rounds of being sick, the month of October just got ahead of me! So much for all of my glorious plans of going hiking and seeing pretty fall leaves, it's already freezing here in DC and I'm not happy about it. Marathon Base Training - After PT, I got into a great running routine, but the wedding, honeymoon, and being sick for a lot of October pushed that to the wayside. I'm no longer aiming to run a 26.2 in December...or even a 13.1 for that matter, but I am gearing up, for a spring marathon, and that means building up a base and comfortably getting to 9 or 10 miles before starting my training. I'll be writing about my training here in th e hopes that you'll all help me stay accountable as I come back to my goal of running a sub-4 marathon. 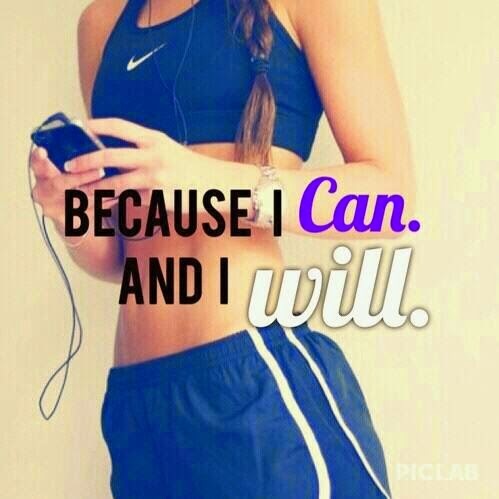 2015 will be the year I do that. Strength and Cross Training - I was great about this over the summer, but along with running, it's fallen to the wayside since the wedding. My goal this month is to do yoga at least twice per week and strength training after all of my shorter distance runs. Be half way packed for our move - We're moving to a new apartment in December and I am determined to enjoy holiday parties without being stressed about moving. Last week, I reorganized my dresser, pulling out my summer clothes and making a pile of clothes to donate. This week, I'll tackle our closets and then move to the pantry. I think packing starts with decluttering, and that's a big priority for the next week, before I can start physically putting things in boxes! Organize my magazine recipes - I have a box of about 30 magazines dating back to 2010 that I pull out every single week to weed through and create a meal plan for the week. Those magazines are olive oil and spice stained and it's time to sort through them, pull the recipes and organize them into a better system. Those magazines are definitely not coming to our new apartment. Get our honeymoon photos printed - My sister bought me a Project Life scrapbook for Christmas last year and I still haven't done anything with it. I want to use it to compile all of our honeymoon photos and that starts with having them printed! I'm determined to actually make the scrapbook though. If you've been reading this blog for any length of time, you'll know that finishing my college scrapbook has been on my annual to-do list for four years now...oops. I don't want that to happen with our honeymoon pictures, and I'm hoping that putting that scrapbook together will give me the boost I need to finally finish my college scrapbook. 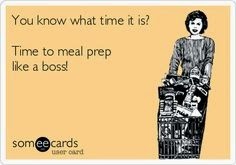 Blog about meal planning and prep - I've fallen way off the wagon with meal planning and prep. This month, I've planned a lot of blog posts in advance...including posts about meal planning and prep. We all know it's cost-effective and makes your week easier, but I just need to get back into it. Tackle some of my 2014 goals...before the year ends! It's going to be an exciting month! I'm so excited to get ready for our move! My mom's birthday is also this month and she's coming to see me for Thanksgiving! Base training for a marathon will definitely add some structure to my life that I've been craving since I dropped out of last year's Marine Corps Marathon. What are some of your goals for November? Do you base train for a race? What are some of your favorite ways to organize recipes?